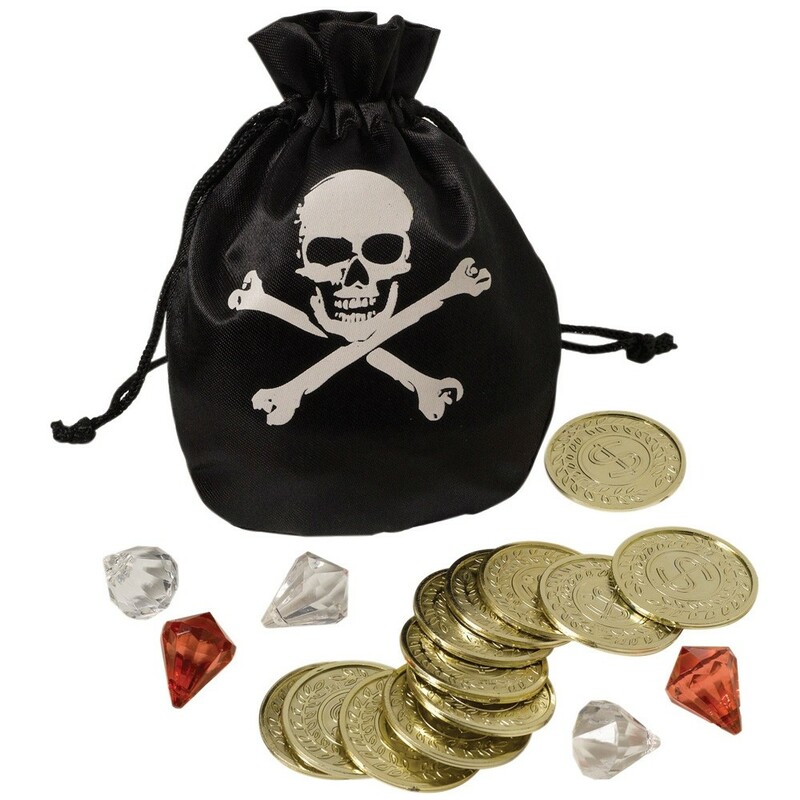 Pirate treasure bag with coins. Pirate Treasure Bag – This great Pirate Treasure Bag is a drawstring design that includes coins. This Pirate Treasure bag measures20cm x 14cm when laid flat. 1 x Bag with Coins.